Does the machine shop you are considering have the capabilities to complete your precision CNC machining project? Having an advanced machining center, and in-house CAD design, milling turning and small part machining capabilities and inspection capabilities are all important aspects when selecting the right CNC machine shop for your project. 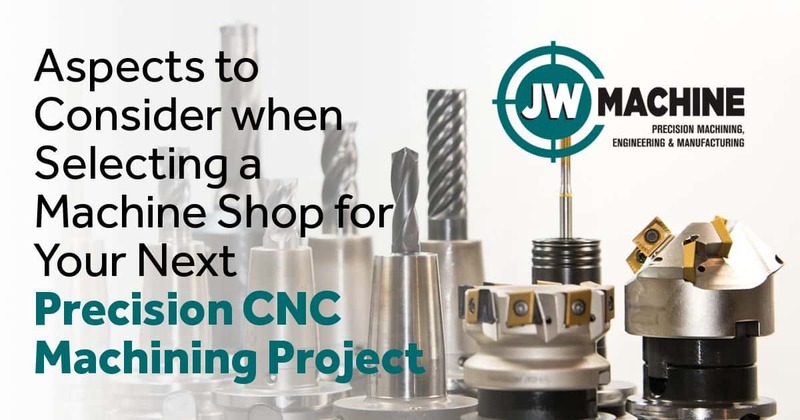 It’s important to make sure the CNC machine shop you choose has a machining center that can accommodate the tolerances you need for your project. This is especially important with small part machining projects which often require close tolerance machining. What materials are the machine shop capable of handling? Whether your CNC machining project requires steel, aluminum, plastic or exotic materials, you need to make sure the CNC machine shop you select has the equipment to work with and the knowledge and skill for the materials you need. The roughness of a surface can be reflected in microscopic measurements. The machine shop you choose needs to have a machining center that can accommodate your desired smoothness and the capabilities to measure the smoothness tolerances. Most importantly, you must take time to evaluate the quality of work. Ask to see the CAD design department. Take a tour to see the machining center and milling turning equipment in action. Ask for physical samples of previous projects and ask about the quality inspection equipment that is required to measure the specifications of your projects. Above all, experience is key. The best CNC machining equipment won’t produce a quality product if the machine shop is not staffed with qualified machinists and operators. You can count on JW Machine’s advanced CNC machining capabilities and experienced staff to produce a quality product on time and within budget. Give us a call to discuss your project today!